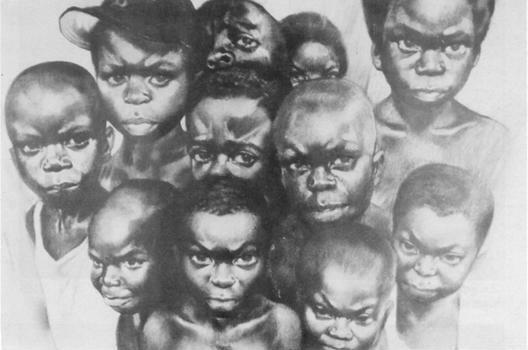 Incredible piece by one of my favorite artists, the late Dr. Jon Onye Lockard. Timeless. I’ve been staring at it a lot these days, as I try to digest recent events. It’s important that we let our young people know they are valuable and have the power to change the world…because they are the ones that are going to do it. And they’re much smarter than we are. Educate. Uplift. Empower. Teach TRUTH. This entry was posted in Blog, Events and tagged "What Are You Going To Tell Them? ", 1972, Inspiration, Jon Onye Lockard, Jon Onye Lockard Art, Legend. Bookmark the permalink. Years ago I had this painting on my wall. Don’t know what ever happened to it. I would love to purchase another. Pls tell me how I can make that happen. where can I find this painting. Pls respond to my email address. Thanx.